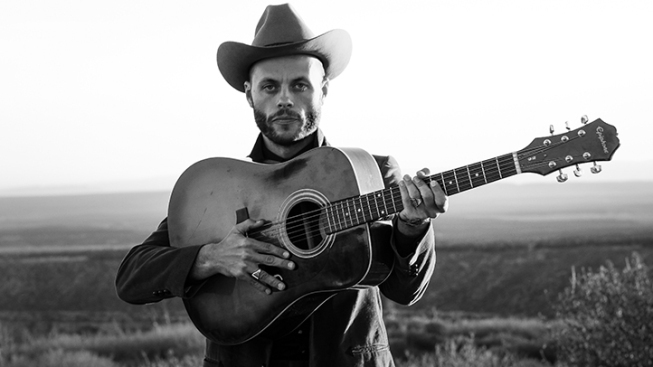 Party on the Porch returns with openers DJ Austin Patton, Cut Throat Finches, and headliner Charley Crockett on Saturday, September 29, 6:00 p.m. to 10:00 p.m. at the Amon Carter Museum of American Art in Fort Worth. NBC 5 and the Amon Carter Museum of American Art invite you to Party on the Porch Saturday, September 29, 6:00 p.m. to 10:00 p.m. at the Amon Carter Museum of American Art in Fort Worth. Returning for its fourth year, Party on the Porch returns with openers DJ Austin Patton, Cut Throat Finches, and headliner Charley Crockett. The free festival will feature live music, local food trucks, outdoor art making, extended museum gallery hours and more! Partygoers can also leave their mark on a community mural inspired by the museum’s collection with local artist Sarah Ayala, or challenge a friend with a variety of lawn games. Get to know the Amon Carter’s collection with the “Party with the Art” pickup tour and explore favorite artworks in the galleries, chat with fellow art lovers, make your own work of art, and unleash your creativity with activities in the galleries. Dress up for a selfie, curate your own gallery space, have a caricature made, and add your thoughts to a community wishing wall for the upcoming museum renovations. Free parking is available at the UNT Health Science Center lot and east garage on Clifton Street (north of the museum). Designated drop-off/pick-up points for ride sharing will be located on Gendy Street. To learn more, visit www.cartermuseum.org/POP18. Designed by renowned architect Philip Johnson (1906–2005), the Amon Carter opened in 1961 and houses a preeminent collection of American art including painting, photographs, sculpture and works on paper. The paintings collection spans early 19th-century expeditionary art to mid-20th-century Modernism and includes masterworks by artists such as Frederic Church, Stuart Davis, Arthur Dove, Thomas Eakins, Winslow Homer, Georgia O’Keeffe and John Singer Sargent. The museum is one of the nation’s major repositories of American photography from the 19th century to the present and holds the archives of luminaries such as Laura Gilpin, Eliot Porter and Karl Struss. It is also home to nearly 400 works by Frederic Remington and Charles M. Russell, the two greatest artists of the American West. Admission is free. Open: Tuesday, Wednesday, Friday and Saturday 10 a.m.–5 p.m.; Thursday 10 a.m.–8 p.m.; Sunday 12–5 p.m. Closed Mondays and major holidays.